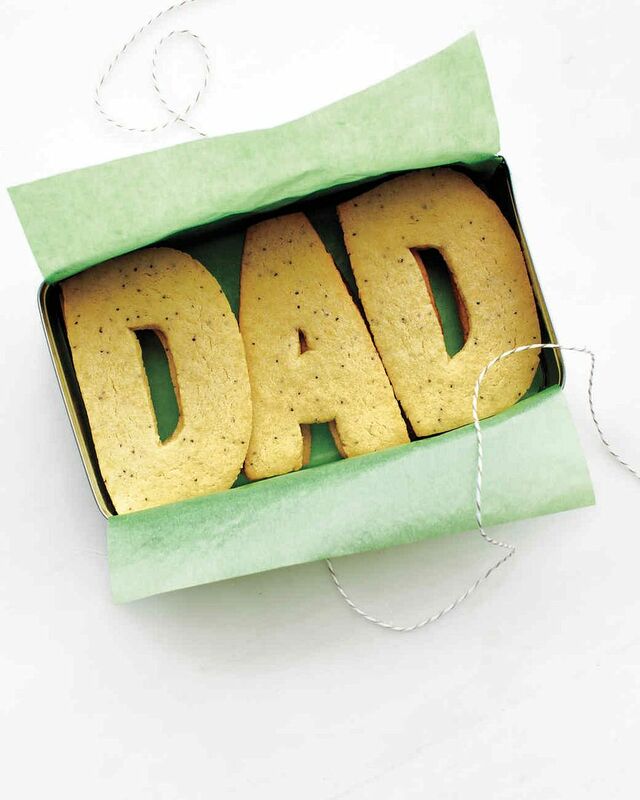 10 Father's Day food gifts that the kids can help make. 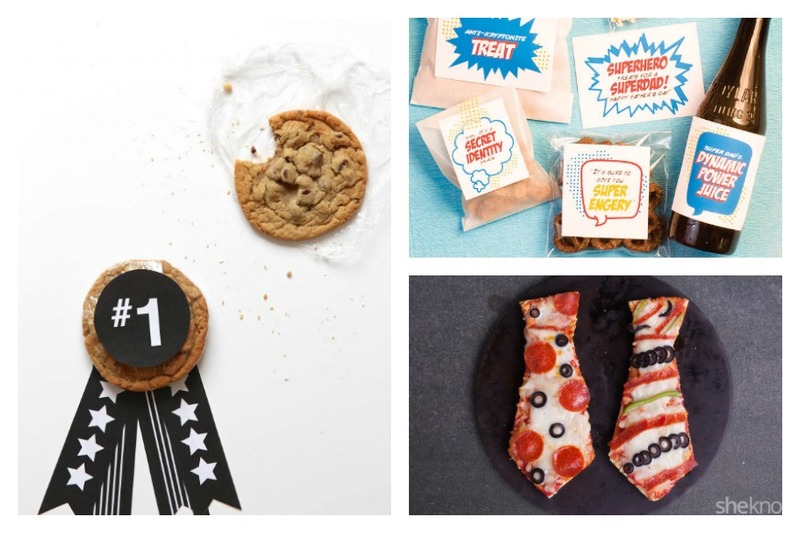 10 Father’s Day food gifts the kids can help make: From a simple superdad lunch to an easy cookie medal for your #1 dad. If the treats on Pinterest are any indication, all dads wear ties and are super into grilling and mowing the lawn. While I’m sure this fits the bill for some dads, I can tell you that my husband only wears a tie when required (at most once a year), would much prefer that I cook no matter the cooking surface, and has never touched a lawn mower. And just as all dads are different, so are all children. Some may enjoy intricate kitchen projects, while others, like mine, would rather use their fingers to trace “XO” into the frosting of store-bought cupcakes. And it is with this deep understanding of difference, that I curated a list of fantastic Father’s Day food gifts that the kids can help make. There’s something here for every dad and every kid too. Truly. Related: The ultimate Father’s Day menu for omnivores, vegetarians and vegans too. 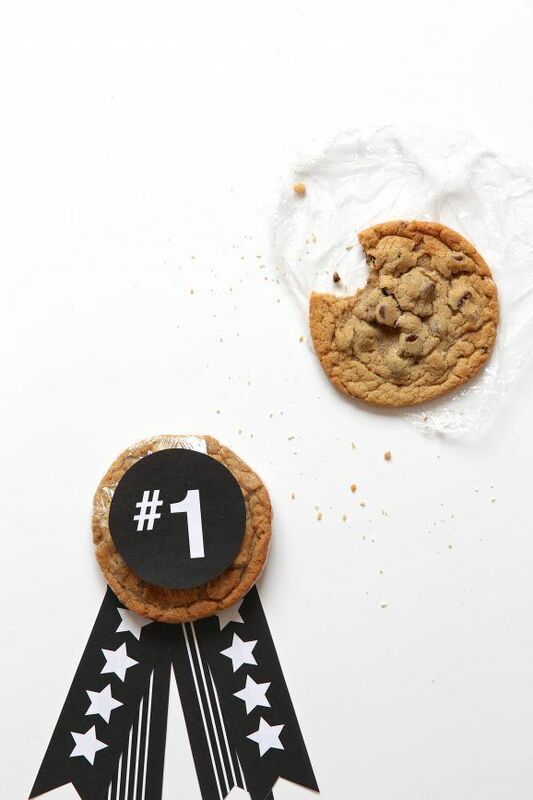 Every dad deserves a medal for something, and why not give it to him in the form of the most delicious treat ever: a chocolate chip cookie. I love this Best Dad Cookie Medal at Paging Supermom because it’s simple, easy to make, and everyone gets to enjoy the leftovers. Popping pop corn: My kids can do this! 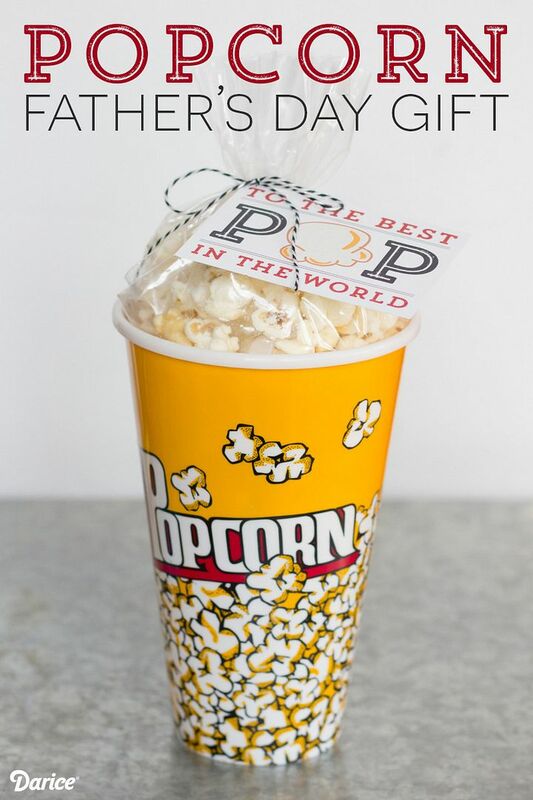 And I love how this Popcorn DIY Father’s Day gift idea with free printables at Live Craft Love uses a play on words without assuming that your pop is into fishing or grilling. The only assumption here is that he likes popcorn — and c’mon, that’s fair! Right? Related: Top dad food bloggers share their favorite Father’s Day recipes. I realize that not everyone feels comfortable referring to their children as little monsters, but I certainly do — lovingly of course! 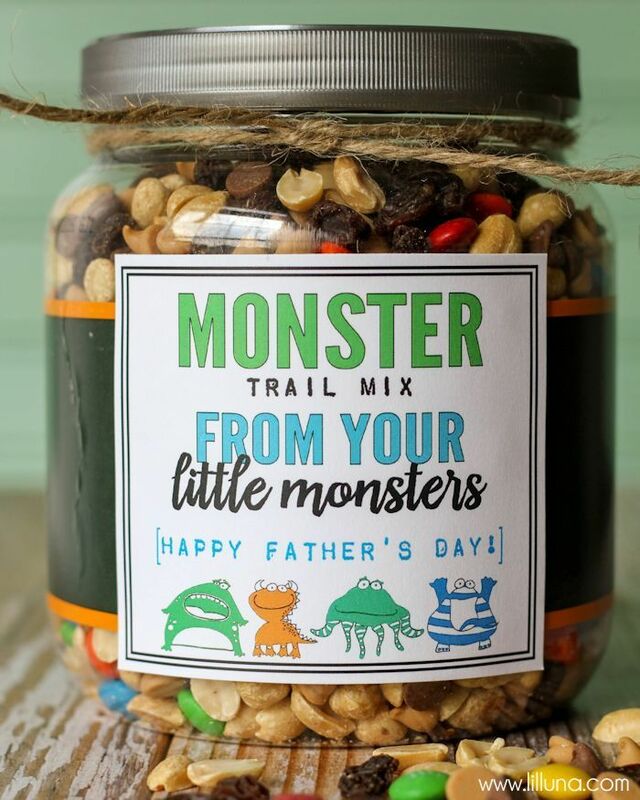 And my little monsters would think this Monster Trail Mix Father’s Day gift at Lil’ Luna is hilarious. We’d probably make our own train mix to customize it with some of our papa’s favorite ingredients, and throwing together train mix is totally manageable. Especially if I let the kids snack along the way. 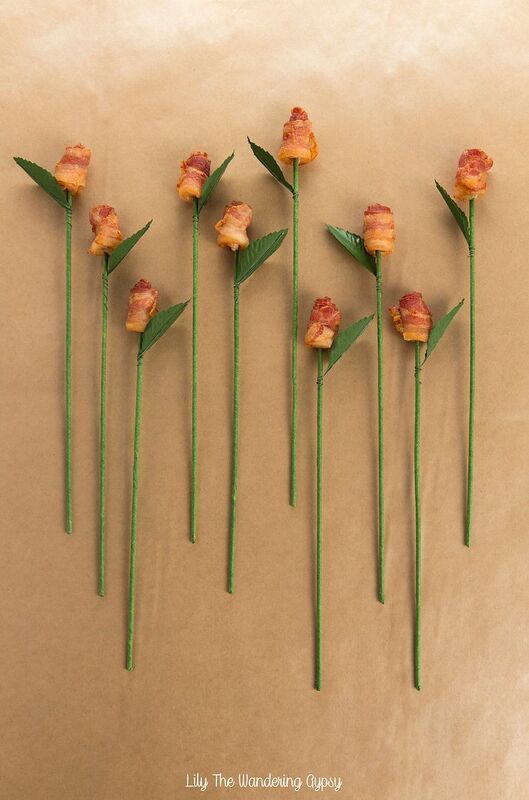 How hilarious are these Father’s Day Bacon Roses at Lily the Wandering Gypsy? Part of what makes them funny is that they actually look pretty. Amazing! These take a little more work to make, with a craft piece. But if you and the kids are up for it, I think they’d feel like a treat to any omnivore dad, at least the ones who love bacon. I joked about ties — probably because my husband never wears them and I know women who do — but I get that it may be a perfectly appropriate symbol for a dad in your life. 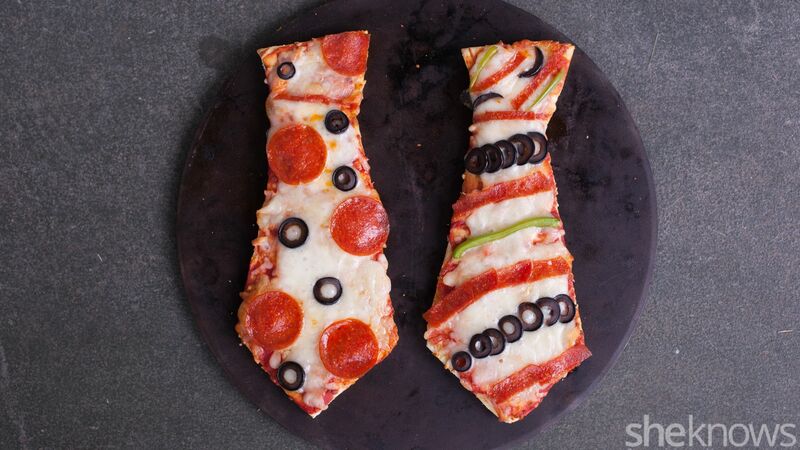 If it is, these Father’s Day tie-shaped pizzas at SheKnows are adorable. If you use a store-bought crust, even the littlest kids can help make these. 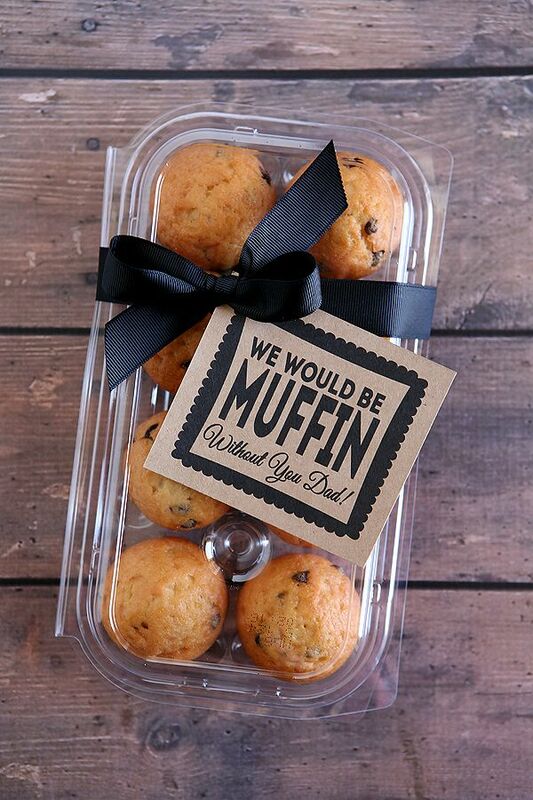 Related: 9 Father’s Day breakfast recipe ideas made especially for Dad. Keep it simple with these Dad Sugar Cookies at Martha Stewart. You don’t even need cookie cutters, since the recipe comes with a free printable template. 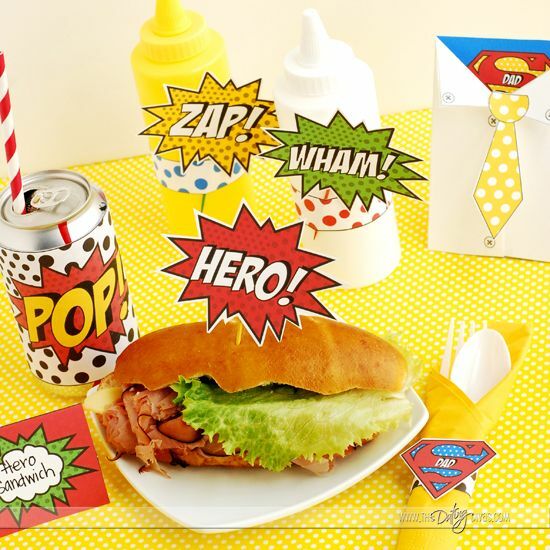 So many easy Father’s Day treats are sweets, but if the dad in your life prefers savory, have the kids help put together a Superhero Father’s Day lunch using the ideas and free printables at The Dating Divas. 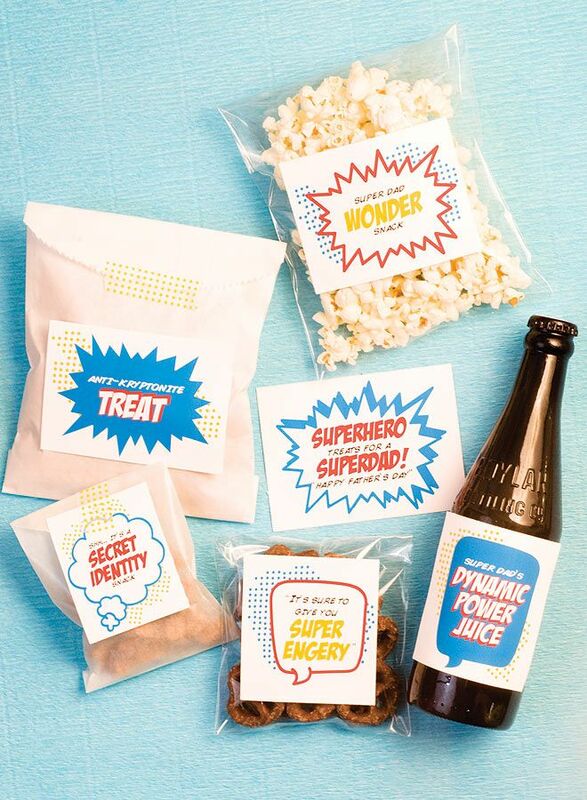 More superhero themed treats! If you have other plans for lunch, put together a Father’s Day Superdad Snack Pack using the free printables at Pizzazzerie. So cute and lots of options depending on what dad likes and your kids’ interest in being in the kitchen. 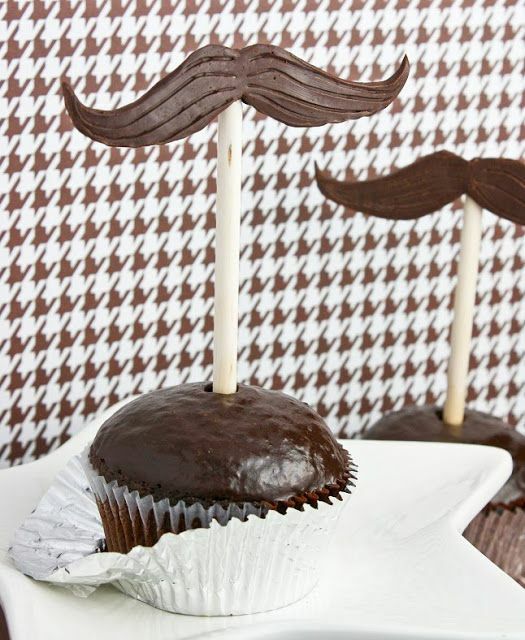 Okay, not all dads have mustaches, but I can’t resist these Mustache-Topped Chocolate Cupcakes for Father’s Day at Sprinkle Bakes. Plus, you’ll get to keep this recipe for moist chocolate cupcakes and easy “chocolate modeling clay” (only two ingredients!) in your back pocket for other special days. Love this post so much! Thanks so much for the feature of my bacon roses!! !